Esquipulas, Guatemala – Maria Adela Vasquez does not want to be here. Waiting inside a migrant shelter in southern Guatemala, along with her daughter and niece, she hopes to continue her journey north and into Mexico. “They do not forgive. They do not care what kind of business it is. Money is what interests them,” Vasquez told Al Jazeera on Saturday. Worried for her daughter’s safety, Vasquez decided to flee Honduras with her and her niece after seeing the news about the caravan of thousands of migrants and refugees heading north. “We came with company. It gives us a bit more strength and security,” said Vasquez. 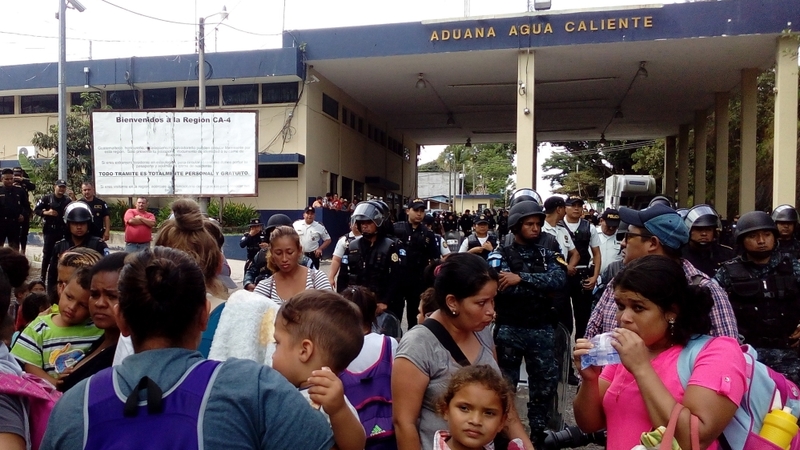 Thousands of Hondurans have already made it across Guatemala’s northern border into Mexico, and groups of varying sizes are following behind throughout Guatemala. The word “encostalado”, which roughly translates as “in a sack”, has become part of the Honduran national vocabulary. “A woman’s life is worth nothing [in Honduras]. They are found in sacks,” said Madrid. “Nothing is done”. Madrid is staying in Esquipulas for now to look for work, while Vasquez hopes to do the same in Mexico.